When the sun shines do you find yourself hovering over the trading screen enthusiastically adding stocks to your portfolio? Or on cloudy days when the rain beats against the window do you sit morosely at your desk, your finger stabbing at the sell button? Two academic papers seem to think this is how you behave. The first paper, published in 2003, analysed 26 international stock exchanges and found that sunshine was “strongly positively correlated” with market index returns. The authors attributed this to sunny weather fostering an “upbeat mood”. They even claimed it was possible (after trading costs) to trade profitably on the weather. A second paper, published in 2007, found that the sunshine effect was stronger for stock exchanges further away from the equator (e.g. exchanges in dark, gloomy northern European countries), and that the effect did not exist on the equator itself. This seemed a fun and easy topic to study, so we dived in. The chart below plots daily sun hours (at Heathrow) against the FTSE 100 Index return on the same day. At first glance, you might think that the chart shows no correlation between the two series (i.e. 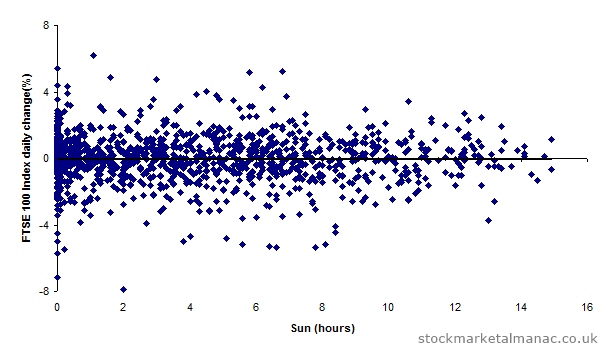 sun hours and index returns). And you’d be right. Even second or third glances will not reveal any positive correlation. In fact, if you look very closely and squint, you may even see a negative correlation – which is not at all what we want. We should have stopped there. But we were motivated to find some correlation. We’d read the academic papers and also paid a reasonable amount of cash for the weather data (stock tip: if the Met Office is ever privatised…). Perhaps the effect does not exist for the FTSE100 Index which, after all, is heavily influenced by foreign investors, who are trading from their pools in the Caribbean or skyscrapers in Shanghai and who are unlikely to be affected greatly by how sunny it is in Orpington. So, we looked at sun hours and the FTSE 250 Index – an index more closely reflecting UK PLC and possibly attracting more domestic investors. Perhaps the effect really displays itself for smaller stocks? We drafted in the FTSE Small Cap Index. The AIM market – home of optimistic punters with a sunny disposition. Surely, the sunshine effect will reveal itself there? OK. Let’s start manipulating the data. We calculated the average daily sun hours for the winter and summer periods, and then adjusted the daily sun hours data by calculating the daily divergence of sun hours from their seasonal average. After all, just two hours of sunshine in the winter could be considered a sunny day. That should do it. We limited the analysis to just those days with extremes of sunshine (i.e. daily sun hours one standard deviation away from the average). Perhaps the change in sun hours from one day to the next would work? In other words, the effect would kick in when a sunny day followed a cloudy day, or vice versa. 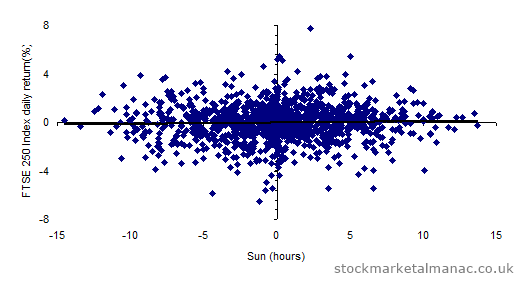 In desperation to rescue something from all the research, we looked at sun hours against daily trading volumes. If the curmudgeonly UK investor wasn’t inspired by the sun to increase his net equity exposure, perhaps he at least punted around a bit more. Well, finally, on this one……. At the end of everything the best we could do was the chart below – the FTSE 250 Index plotted against the change in sun hours from the previous day. Hardly much of an improvement on the first chart – still just a random mass of uncorrelated dots. At least the correlation is (minutely) positive, but we wouldn’t recommend trading off it. So, who is wrong, the papers or our research? It’s difficult to say. Our data covered the period 2007-12, while the first academic paper looked at data for the period 1982-97. Possibly the effect has changed in the intervening years. But if the academic papers are right, and the sunshine effect does exist, this would seem to conflict with the strongest seasonality effect in the market – whereby the market in the (dark) winter months out-performs the (sunny) summer months. 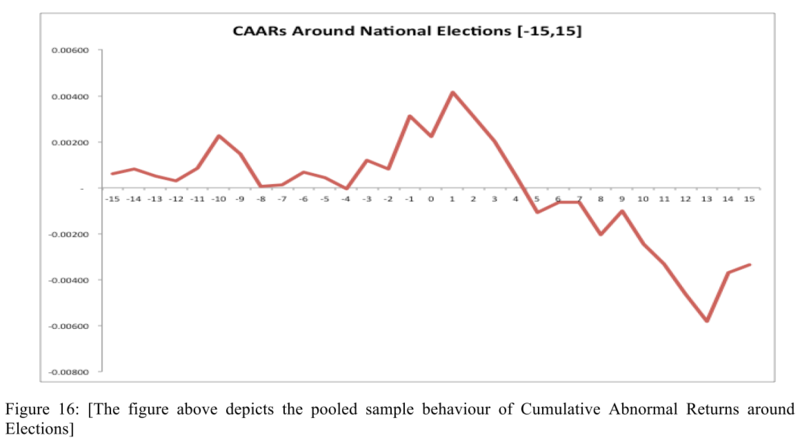 A new study looks at the behaviour of stock markets around the time of political elections. 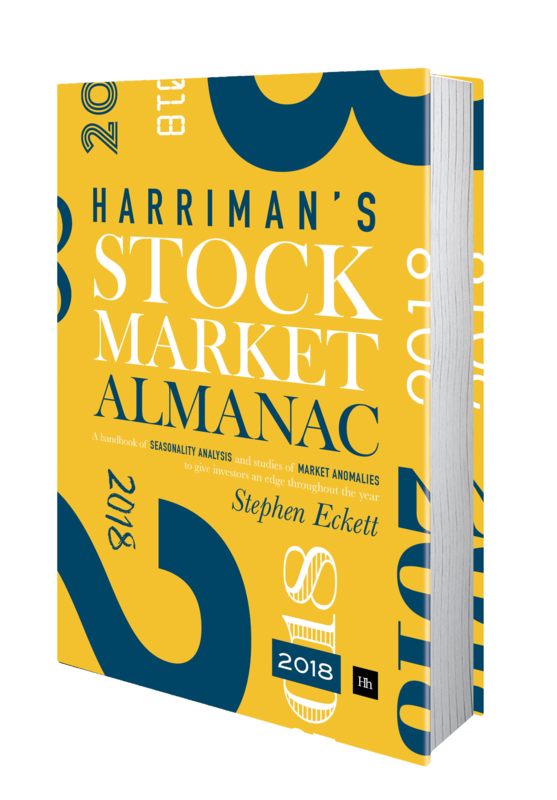 The study found that on average markets were abnormally strong in the 15 days prior to the election, and abnormally weak in the 15 days after an election. The trend of abnormal strength ends one day after the election (this day also displays the strongest returns of the whole period); returns then tail off, with the markets being weakest 13 days after the election. 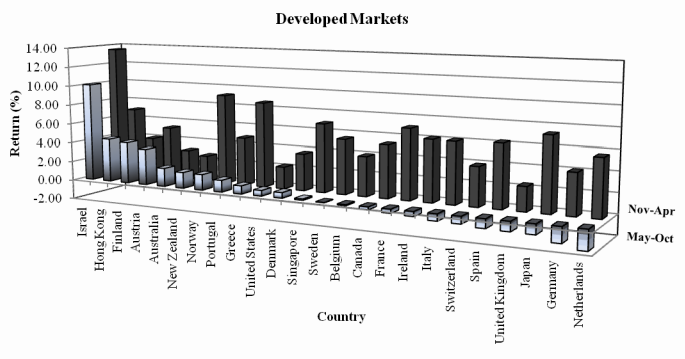 The study analysed data from 13 markets in Europe for the period 1990-2012. The following chart displays the cumulative average abnormal returns for the 13 markets studied. Extract from: Opare, Angela, Effects of General Elections on the Return and Volatility of Stocks: The Evidence from Europe (September 15, 2012). markets in Finland, France, Greece, Portugal and the UK were generally strong. Market volatility tended to increase in the 15 days before elections, and then increased further still in the few days afterwards, staying at a high level for rest of the period. A calendar of political elections coming up this year and beyond. Here’s an interesting thing: it seems that people actually read academic papers. A paper published in October 2012, Does Academic Research Destroy Stock Return Predictability?, finds that the profitability of strategies declined by, on average, 35% after the studies had been published in academic journals. The return predictability of the 82 studies suffered a 35% decay post-publication. Publication drew attention to the anomalies which led to increased trading in anomaly stocks. The above increase in trading was seen more in large, liquid stocks than smaller cap stocks. The publication of this paper has resulted in some interesting discussion – and reporting. The Chronicle of Higher Education headlined their article “Academic Research Destroys Stock Values“, which isn’t what the paper is saying, but is certainly a more exciting heading than the best we could come up with for this blog post. Similar to Table 3, Table 7 estimates a regression akin to Eq. (1); only the dependent variable is the normalized rank of the trading characteristic, rather than the normalized return. is not everyone’s beach-reading choice, someone is actually reading this stuff. Academics finally have proof that, not only are people reading their papers, but they are also acting on the research. This might result in salary increases for the academics – which means they are being rewarded for research that, in some cases, is no longer useful. Perhaps the salary increase could be proportional to how little use the research is after publication? Will the vailidity of the findings of this paper itself also decay 35% after publication? Perhaps the best anomalies will no longer be published in academic papers, leading to a 35% decay in the 35% figure.